Kerri Paulson, MBA is the for Gemini Health. Kerri is a seasoned Pharmacy Industry professional, with over 25 years of experience in managed care and new product development and design. She has a keen understanding of pharmacy operations, back-end claims processing and standard electronic pharmacy transactions. Kerri joined Gemini Health in May, 2018. In her Product Innovation role, Kerri leads the development efforts for Gemini’s best-in class products for prescribers. She applies her in-depth knowledge of agile principles and methodologies to insure solutions delivered meet end-user needs. 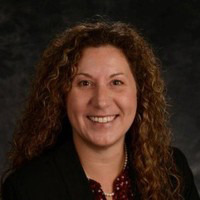 Prior to joining Gemini Health, Kerri was a Senior Product Manager at eRx Network, where she was responsible for product development and operations for several Network Services Products for retail pharmacies. Prior to eRx Network, Kerri held the position of Managed Care Reimbursement Manager for Longs Drug Stores, a 500-store retail pharmacy chain on the West Coast which was acquired by CVS in 2009. Before starting at Longs, Kerri was the Pharmacy Network Manager for Blue Shield of California, responsible for contracting and relations with retail pharmacy providers. She has also held several pharmacy technician positions with various organizations within the Pharmacy Industry. Kerri holds a Master’s Degree in Business Administration, a Bachelor’s Degree in Health Science, is a Nationally Certified Pharmacy Technician and has obtained the Agile Certified Product Manager Certification.